To each of you who took the time to check out my newest release, Beverly: The Butcher’s Bride, earlier this week, thank you! I sincerely hope you enjoyed the story. I’m currently working on finishing up the third installment, which I should have ready to share with you in a few weeks. Also, great news: Faith-Ann is putting the finishing touches on a new mail order bride story, which will kick off a continuation of her Nurses Of The Civil War series; more to come on that soon! Today, I have a few new releases from friends that I thought you’d enjoy hearing about. 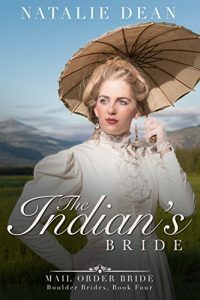 First, mail order bride author Natalie Dean has just released the fourth standalone installment of the Boulder Brides series, The Indian’s Bride. 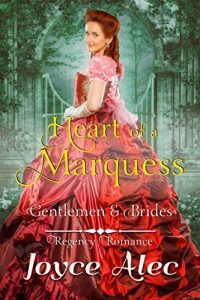 If you love sweet Regency romance, our friend Joyce Alec has begun a new series called Gentlemen & Brides, with the first book out now, Heart Of A Marquess. 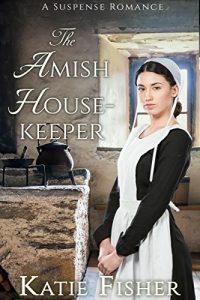 Last but not least, Katie Fisher’s newest Amish suspense romance, The Amish Housekeeper, is now available on Amazon as well. A plan born of deception… Can Charlotte overcome her stepsister’s cruel actions and find the love she deserves? Miss Charlotte Richardson was heartbroken when her father died, but is elated when her mother remarries. It brings Charlotte such joy to see her mother happy again. Charlotte hopes to develop a close bond with her new stepsister, Lady Emma, but her hopes are quickly shattered. Lady Emma is upset that she must now share her home with Charlotte, whom she feels is beneath her. When the Marquess of Withington develops affections for Charlotte, Lady Emma is furious because she wants him for his wealth and title. Lady Emma will stop at nothing and devises a plan that will ruin all possibilities of Charlotte finding happiness. Will Charlotte find true love even though Lady Emma is determined to destroy her reputation? Can Lord Withington see through Lady Emma’s deceitful nature? An Amish single mother who will do anything to get her kidnapped daughter back. Will perseverance and love help her succeed? Wilma Hertzler doesn’t enjoy being a housekeeper to the Troyer family. In her small Amish community, they’re like royalty and they know it. The only reason she stays is because of her five-year-old daughter, Faith. The Troyers pay her well and without them, Wilma would have to leave the community. Away from everything Faith knows, including her beloved uncle Noah, Wilma’s brother-in-law. Five years ago, just months after their marriage, Wilma’s husband abandoned her. Noah isn’t sure he can ever forgive his brother for that, and does his best to provide what he can to his sister-in-law and niece. Now, five years later, he knows he’s fallen in love with Wilma. There’s a problem, though. She’s still married. Even though his brother is nowhere to be found, Wilma is bound to him and Noah knows he must keep his distance. But when Faith is kidnapped, everything changes. Wilma is distraught. Faith is her whole world and without her she isn’t sure how to go on. When she uncovers evidence that the Troyers might have something to do with Faith’s kidnapping, she knows what she will do. She’ll get her daughter back. At any cost. I hope this message finds you well today! I’m just about ready to release Beverly: The Butcher’s Bride, the second story of the Stewart House Brides series; I’ll be back early next week to let you know when it’s finally out! 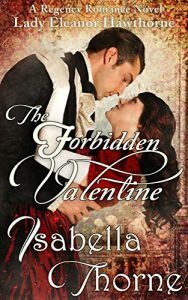 Today, I’m delighted to share two great deals from sweet Regency romance author Isabella Thorne and mail order bride author Christian Michael. Isabella’s new book, The Forbiden Valentine: Lady Eleanor Hawthorne, is now available for preorder, and if you reserve your copy before March 2, you’ll be able to read it for only 99 cents; the price will be going up on March 2. 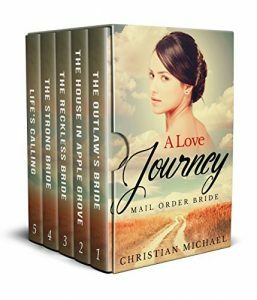 Christian’s second Brides Head West box set is also available for 99 cents, and both of these titles are available to read with Kindle Unlimited. I also have a freebie for you today! 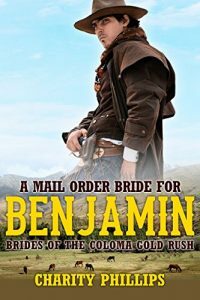 The third installment of my Brides Of The Coloma Gold Rush series, A Mail Order Bride For Benjamin, will be free to download in participating Amazon stores through Monday, February 5. Don’t miss out on your chance to grab your free copy! And just in case you haven’t read the series, you can read the entire box set for only 99 cents HERE. 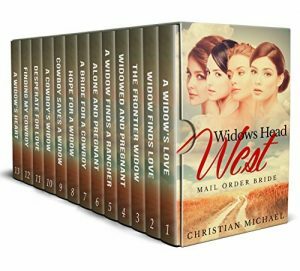 Box Set #2 of the Brides Head West Series! 20 new Mail Order Bride stories of women who journey West to find love. Clean and faith inspired short stories bound to take you on a journey of adventure and romance. The wild wild west is where these mail order brides find themselves looking for their dream cowboy. Circumstances, though, will prove to make things more difficult than expected. Will love win out in the end? How is your week going? I’ve been busy putting the finishing touches on the second book of the Stewart House Brides series and plan to have that ready to share with you in just a few weeks! 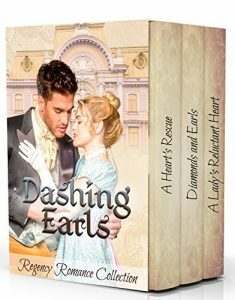 In the meantime, I have three fantastic reads to share with you today from Regency author Abby Ayles, as well as mail order bride romance authors Christian Michael and Natalie Dean. Each of their books is available on Amazon right now for only 99 cents, or they may be read with a Kindle Unlimited subscription at no extra cost. 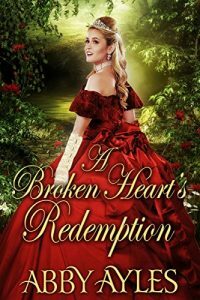 Lucy cannot think of how to mend her broken heart after Duke Perry so cruelly manipulated her. And she cannot understand how all of society continues to fall for the farce of marriage. It is just a means to trade power and wealth, after all, isn’t it? Her friends tell her to hold onto hope, her parents tell her to stop behaving so crudely, and her suitors tell her to treat them with more respect. But honestly, she does not wish to marry anymore. The more men she puts off, the better. In Baron Andrew Jones she meets another cynical heart, a man betrayed by his former fiancée, who abandoned him whilst he was traveling. Like Lucy, he believes marriage is just a way for some people to gain control over others. Most around him are disturbed by his coldness and bluntness. But in this black heart, Lucy sees a few shreds of sweetness and hope which draw her in. Between their common suffering and these moments of tenderness, Lucy finds herself slowly doing something she had sworn never to do again: falling in love. But the Baron is committed to a life free of all attachments, and Lucy is left with a terrible decision: Must she live her life as a mistress? Marry a man she does not love? Or commit herself to a life of chastity and pursue fulfillment through faith instead? Truthfully, none seem right for her. But can she win Lord Jones over before it is too late? A 5-part series of young Mail Order Brides searching for love with 30 free bonus short stories! Each standalone is a historical western adventure full of trials and tribulations but with trust in God’s plan, these women never lose hope. Will love win out in the Wild Wild West? Rose Getty is facing hardship in life. She has recently lost both of her parents, learns that she is soon to lose their farm, and is forced to move in with her wealthy, controlling grandmother. In an act of desperation, she responds to an ad for a mail order bride. Will Rose ever find the love she is looking for? What is this secret that her husband is hiding? Rose Casper and her husband Clark move around a lot. Clark is talking to her about moving again, and Rose really doesn’t want to, but she is forced into moving over and over again by her husband’s dark past. Laura Casper is a headstrong young woman who feels as though she could take on the entire west herself. She is attractive, confident, and unafraid to stand out from the crowd, but she is heartbroken. Her love has left her for another, and she watches as he marries. Thrown into depression, Laura tries to fill her days with activities, but nothing seems to help… until she meets a mysterious man on the road. But there is something else about this man that she doesn’t know. Will she be able to pull through and stay strong, or will this man’s secrets be her ruin, too? Nellie Casper is a beautiful young woman with a dream. But, Nellie is often struggling with her health, and constantly fighting to keep from falling ill.
She misses her sister. Since Laura’s marriage, it’s a rare thing for them to see each other, especially since Laura married a bounty hunter. 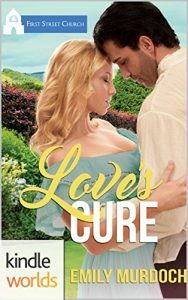 But, when his job brings Laura and her husband back to Apple Grove, Nellie is thrilled. Unlike anyone she has ever met, Nellie can’t help but see the good in this man and wonder if there has been some sort of mistake. In spite of her better judgement, she falls in love. Will Nellie find a way to save him before it’s too late? Life has changed drastically for Laura Bernard. Once close with her sister and her parents, she now finds herself alone in the world, except for her husband and her sister’s daughter. But, when she goes to tend to matters after her parent’s tragic accident, she finds the child is nothing like she imagined, and it’s incredibly difficult to be in the house she grew up in. Unable to give the child the love and attention she needs, Laura feels her only option is to give up raising the child and let another family do it, but once her niece is gone, Laura feels she has betrayed everyone, including her sister. Will Laura be trapped in life, forever stuck with the mistakes she has made? Will she find a way to get her niece back? Is she ever going to find peace? Both are pretending to be something they’re not. Both are scared to lose the other once their true passions are revealed. But will love bloom when the truth comes out? Lucy loves nothing more than doing flips and headstands, but when the opportunity comes for her to become a mail-order bride to a nephew of one of the members of her church, her parents encourage her to appear more prim and proper than she really is. After all, the man approaching her is the son of a successful rancher living a short distance from wealthy Boulder. Cliffhanger Zack may be from a wealthy family, but he doesn’t have a clue as to how they behave in New York. After letting his female friends read his letter to a prospective bride, they decide to complicate things by helping him write a much fancier letter. After all, he’s trying to find a bride in New York. And New York girls are sophisticated. AUTHOR’S NOTE: This is book 3 in the Boulder Brides Series, but may be read as a standalone. If you’ve already read books 1 and 2, then you will enjoy reading more about those characters you loved! 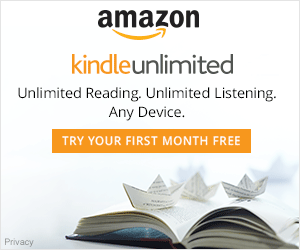 Six bonus books included! This week, I have four marvelous new releases that I thought you’d enjoy hearing about from our friends Caroline Johnson, Faith Crawford, Christian Michael and Emily Murdoch. Whether you love Regency romance, mail order bride stories or historical Westerns, there’s a little something for everyone in today’s Sweet Reads Spotlight! Will Eliza Williams find love, even though she harbors a secret that could ruin her family’s reputation? Can the Earl of Bessington save her from the dire situation? A cozy mystery romance that will keep you guessing until the end! The chase is on. The Earl of Malmesbury is determined to have her. Lady Elizabeth wants nothing to do with him. Who will win? What would you do if the man you travelled west for has never even heard of you? Felicity is living a comfortable life in the city with her sister’s family. But then the unthinkable happens: her sister and brother in law die in an accident, leaving her and her small niece behind. Soon, Felicity is in financial trouble. Her only way out is a mail order bride ad from a doctor in Montana. But when she and her niece arrive there, Felicity is in for a big surprise. The doctor never sent her those letters. Stuck in a dead end all the way in the West, Felicity has to adapt to life once again. Andrew loves his job and lives a fulfilling life. He is happy, but something is missing: A wife and a family to call his own. Now a mail order bride shows up on his doorstep unexpectedly. What is he supposed to do? But when Andrew’s surprise and anger ebb away, he starts to see Felicity for the wonderful woman that she is, and starts caring deeply for the child, too. When Andrew finally realizes what Felicity means to him, another man has his eye on her and she, fed up with Andrew’s supposed indifference, seems interested. Which man will Felicity choose? Is it too late for her and the doctor? Or will true love follow its own path? 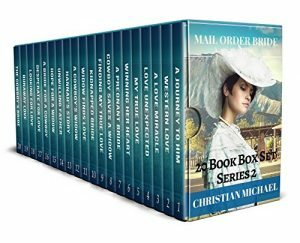 12 MAIL ORDER BRIDE stories from the Christian Michael catalog of WIDOWS who search for love in the Wild Wild West plus four bonus mail order bride series! but God has better plans for them… A second chance at love. This is the fourth in the Sweet Grove Beginnings series that explores just how the town of Sweet Grove was planted. 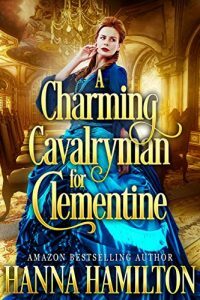 If you’re looking for a sweet Regency romance to start off your week, Hanna Hamilton has just released a wonderful new story called A Charming Cavalryman For Clementine. Right now, it’s only 99 cents in participating Amazon stores, or you may read it with a Kindle Unlimited subscription at no extra charge. On the cusp of the war that would change the fate of empires, Clementine, the daughter of an earl, finds herself in the lush English countryside attending her younger sister’s wedding. But Clementine is different. She wants more from life than to just walk in her husband’s shadow. Like the formidable Florence Nightingale, she has a dream to become a nurse of the Empire. Her path crosses with the handsome and dashing hussar, Major Stirling Whitt Whittaker. A whirlwind love affair ensues, leading to young Stirling asking for Clementine’s hand in marriage. However, as fate would have it, the Crimean War drags them apart, twisting and weaving the threads of destiny. Will her Stirling survive the horrors of war unscathed or will she have to treat him like the many other hundreds of men coming from the front? Before I get to this week’s Sweet Reads Spotlight, I wanted to give my many thanks to each of you who took the time to check out my newest story, Mail Order Bride Carrie. I’m very excited to be working on a new series and sincerely hope you enjoyed the first installment! Today, I have quite the variety of clean reads to share with you. 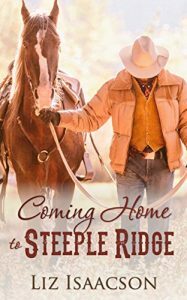 First is contemporary Western romance author Liz Isaacson’s newest installment of the Steeple Ridge Romances, Coming Home To Steeple Ridge. On January 15, the price will be going up to $3.99, so you won’t want to miss out on your chance to read this wonderful story now for only 99 cents. If you love Regency romance, author Emily Murdoch has launched a special offer as she develops her next series: if you pledge £19/$25 to her Kickstarter campaign, you’ll get eight ebooks, a signed paperback, an exclusive limited edition bookmark AND a digital surprise! There are also rewards for just £4/$5 as well, and chances to name characters and make plot decisions, so be sure to visit her page below to learn more about this exciting opportunity! 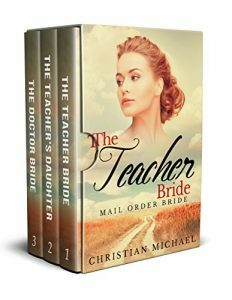 Finally, if you’re looking for a sweet mail order bride collection to read this weekend, Christian Michael’s The Teacher Bride box set is available for only 99 cents or may be read with Kindle Unlimited. Darren Buttars is cool, collected, and quiet–and utterly devastated when his girlfriend of nine months, Farrah Irvine, breaks up with him because he wanted her to ride her horse in a parade. But Farrah doesn’t ride anymore, a fact she made very clear to Darren. When they run into each other again in small-town Island Park, the spark between them is as hot as ever. But they can’t seem to agree on anything and end up arguing as much as they kiss. Farrah returned to her childhood home with so much baggage, she doesn’t know where to start with the unpacking. Darren’s the only Buttars brother who isn’t married, and he wants to make Island Park his permanent home–with Farrah. Can they find their way through the heartache to achieve a happily-ever-after together? A 3-part MAIL ORDER BRIDE series of young women who journey West in search of new opportunities and most especially… LOVE. 30 BONUS stories included! …but life doesn’t work out the way they thought it would. What will God have in store for these brides looking for love? Book 1: Charity Henry is a widowed school teacher in a large school. While she loves her job, she finds her life at home to be a dreary reminder of everything she lost. Her cousins are her best friends, but even they can’t give her the family she needs. 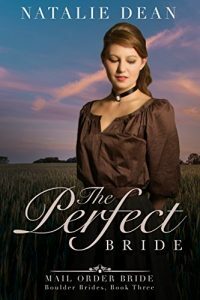 When she loses her job and all sources of income to support herself, Charity realizes it’s time to move on, and with prompting from her cousin Isabelle, she throws all of her caution to the wind and moves to Montana to marry a small dirt farmer. Life would be good for Charity, except the farmer’s daughter doesn’t like her at all. She does everything she can to keep Charity out of her life, in spite of the fact Charity is kind to her and wants to be her friend. Bad turns to worse when Charity’s new husband is injured and can’t work, and the family faces bankruptcy. Will Charity find a way to pull the family through this hard time? Will she break through to her step daughter and make a friend? Or is she doomed to forever live a life of hardship and heartache? Book 2: Mellie Bates is studying hard. She wants to follow in her step mother’s footsteps and become a teacher of her own class, in her own school. The only problem is, the teaching exam is going to be a difficult test to pass. Then, Mellie finds an ad posted in her store for a school looking for a teacher. On a whim, she decides to give it a shot. If she were to settle into the town before taking the exam, she would be a perfect fit after she became certified. With that, Mellie moves to an entirely new town where she knows no one. There, she meets a young pastor, who is the most handsome man she has ever seen. Though her life away from home is difficult, Mellie is determined to push through and accomplish her goal. But when the unthinkable happens, she is faced with a choice. What will she do? Go back to everything she already knows, or put it all on the line, risking everything? Book 3: Jasmine Thomas is tired of living in her sister’s shadow. Ever since she was a child, she was always second to her sister, and she is ready to make a change. Her cousin, Charity, moved across the country in pursuit of adventure, and now Jasmine is prepared to do the same. Jasmine is a woman with a mission. She is a doctor, and she wants to make a name for herself, but in a world that accepts women only as nurses, she is met with challenge after challenge. 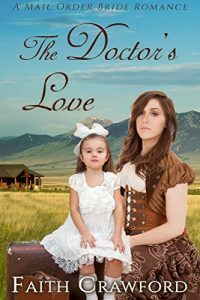 To make matters worse, she is rivaled by a rugged doctor by the name of Dobson, who is close to her age, but unwilling to compromise. Determined to make it work in the West, Jasmine does everything she can to prove to the town that she has what it takes to be a doctor. When disaster strikes, will she be able to pull through and prove to everyone she’s worth noticing? Will she earn her spot in the town? Will she ever earn the respect of the mysterious Dobson?